Forty farmers on P.E.I. delayed their first cut of hay this summer on a thousand acres across the Island to protect grassland birds, including a threatened species called the bobolink. Forty farmers on P.E.I. delayed their first cut of hay this summer on 400 hectares or 1,000 acres across the Island to protect grassland birds, including a threatened species called the bobolink. Grassland birds create their nests on the ground in tall grass fields. "We're encouraged by the uptake, we're encouraged by the results," said Shawn Hill, co-ordinator for Alternative Land Use Services Canada in P.E.I. "It gives agriculture another tool in their tool box if they have bobolinks or other birds present and they want to delay their hay cut for the birds." Alternative Land Use Services Canada, or ALUS Canada, will provide $90,000 over three years to farmers who postpone harvesting their hay until after July 15th.The farmers receive $25 per acre. Hill said the program easily reached its goal of 400 hectares in the first year, with farmers now on a waiting list. "We have a lot more interest than we have funds for," Hill said. "We have 10 or 12 on the waiting list and some have some big acreages." The program also partnered with Island Nature Trust to make sure the hay wasn't cut before July 15th and to survey for grassland bird nests. 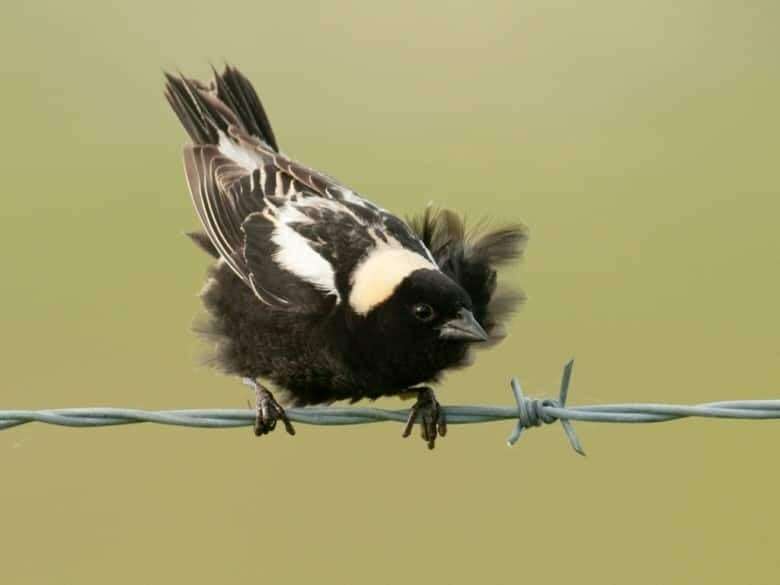 Twenty-five of the 40 sites were surveyed and bobolink were found at 68 per cent of the sites, which Hill describes as "encouraging". Mike Lafortune of Dexter Cattle Company in North Milton delayed cutting hay in two of his fields until July 29, compared to late June or early July. "We had never heard of the birds before but we had seen them on several occasions, beautiful songbirds," Lafortune said. "Once we heard about the program, we thought, this is a really good idea, to see if we can't help preserve and conserve." 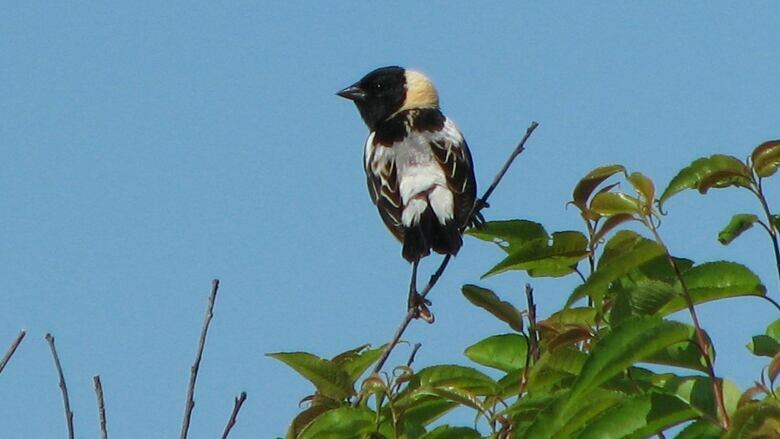 Island Nature Trust visited the cattle farm and found bobolink. "We were pretty excited to find out that we have four females and two males, I think we have a few more than that but we'll just keep counting," Lafortune said. "We feel it had quite a bit of impact on the birds, it allowed them to have more time for the fledglings to do what they do naturally." Megan Harris of Island Nature Trust is also excited by the results. "I think that's just fantastic," said Harris. 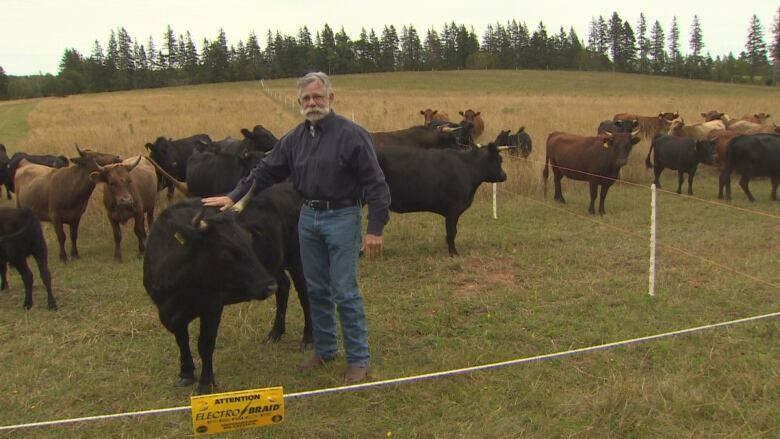 "We have had a program for four years promoting delayed hay on P.E.I. and it's so nice to see this incentive come into play that makes it a little bit easier for some farmers to put that into place." She said the delayed hay program also reached some parts of the Island that the voluntary program had not. Harris suggests the program could also be an idea that spreads across Canada. "I'd love to see that happen, the bobolink is present in a number of different provinces particularly in the Prairies," Harris said. "It's just a very positive step and it's really nice to see P.E.I. leading the way."